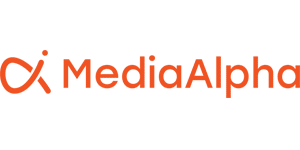 LOS ANGELES, Feb. 27, 2018 – MediaAlpha, a pioneer in programmatic platforms for native search and metasearch media, today announced unprecedented growth during the 2017 fiscal year and its expansion into the European market. The company reported its most substantial year-over-year gains to date, fueled by rapid growth in key sectors including auto insurance, health and life insurance, personal finance and travel. In 2017, the value of the media transacted through MediaAlpha’s platforms surpassed $250 million, representing a 43 percent increase from the previous year. To support its growing global client base, most notably in the travel sector, MediaAlpha recently opened a London office, managed by advertising industry veteran Robert Goldsmith. Goldsmith, who serves as Director of Demand Partnerships, joins the company from KAYAK, where he was formerly a Sales Director. In his role, he will primarily focus on augmenting MediaAlpha’s presence in the rapidly-growing European travel advertising market. MediaAlpha builds the technology infrastructure for the industry’s first and only ecosystem of advertising exchanges for native search and metasearch media. MediaAlpha’s technology transparently connects buyers and sellers to create efficient, programmatic marketplaces for performance media targeting consumers at the point of purchase across leading brand, metasearch, and comparison sites. Its technology platforms power over 50 million high-value transactions annually, representing an annual run rate of more than $350 million in media spend across the insurance, travel, personal finance, education and home service verticals. For more information, visit www.mediaalpha.com.